It was my first time traveling to Africa. 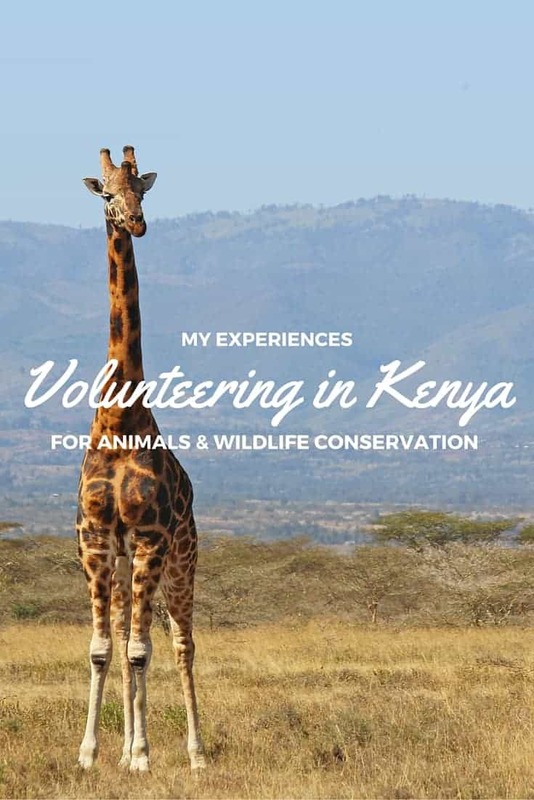 Learn about my experiences volunteering in Kenya for animals. I love animals. Raised from birth as a vegetarian, I grew up caring for all living creatures on our planet. Whether it’s adopting rescued cats or volunteering at a local animal sanctuary, I try my best to help animals at home. However, I had always wanted to combine my love for travel and animals by volunteering overseas. I discovered an opportunity to travel on an expedition with Animal Experience International. In a somewhat spontaneous act, I jumped at the chance to take this trip of a lifetime. I made up my mind pretty much right away. Before long, I was volunteering in Kenya for animals and wildlife conservation. Have you volunteered in Africa before? Would you like to? The group expedition was planned by Animal Experience International. Our team was a small group of four Canadians: myself, Nora (co-owner of AEI), Rena (Nora’s mom), and Marilyn (retiree and fellow animal lover). Other than Nora and Rena, we didn’t really know each other before the trip. Yet, we were united to assist in wildlife conservation projects abroad. AEI is a certified B Corporation that aims to unite volunteers with appropriate animal aid projects all over the world. They work with animal sanctuaries, conservancies, hospitals, and research projects. AEI ranks within the top 10% of all B Corps for both Environmental Impact and Overall Impact (both social and environmental). The volunteer programs are personally visited and tested by AEI before they are set up for travelers. You can be sure that AEI’s volunteer programs help animals in a hands-on and meaningful way. On this Kenyan wildlife conservation expedition, we worked on several ongoing projects at Soysambu Conservancy in the Great Rift Valley. Soysambu Conservancy is located in the Great Rift Valley, Kenya. 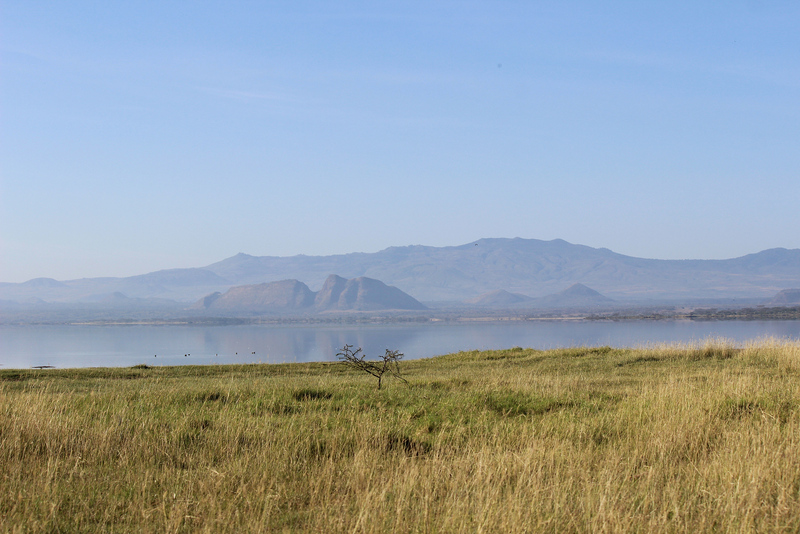 The property includes Lake Elmenteita, part of the Kenya Lake System (a UNESCO site). As a non-profit organization, Soysambu Conservancy aims to protect the land and wildlife on this ecologically significant expanse. The conservancy land, which encompasses a whopping 48,000 acres, has an incredibly diverse wildlife population. 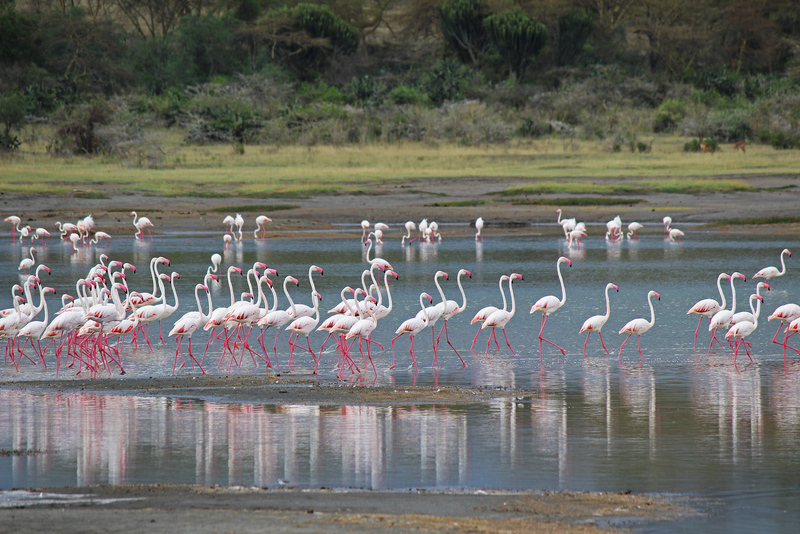 There are over 450 bird species, including 28% of the world’s population of the Lesser Flamingo. It is the only breeding ground for the Great White Pelican in East Africa. There are 10,000 mammals of over 50 species, including 10% of the world’s population of Rothschild Giraffe (an endangered species). 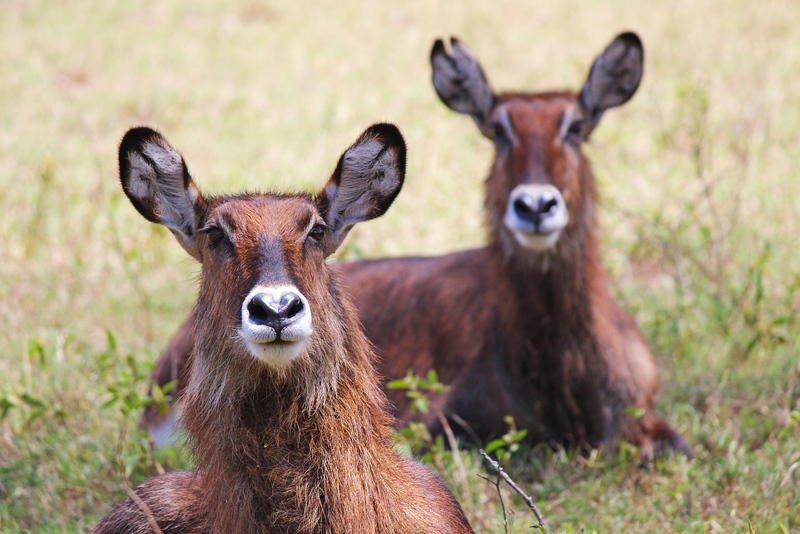 It’s important that we work to preserve the flourishing wildlife that lives at Soysambu. It’s also important to note that Soysambu isn’t solely a nature preserve. Though the protected animals run wild and free, the land is part of Delamere Estates. Communities of people live on the land. There are two elementary schools on the property. The wildlife conservancy co-exists with Soysambu Ranch, a cattle farm. The cows are herded around the lands by day, and settle inside enclosures at night. 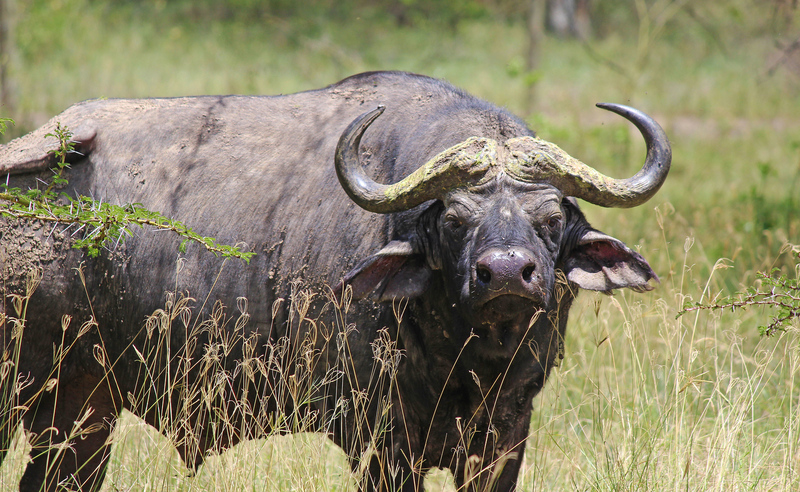 Though animal conservation and cattle ranging are not mutually exclusive, Soysambu tries to strike a balance between wildlife preservation and the livestock operation that the community relies on for their livelihood. 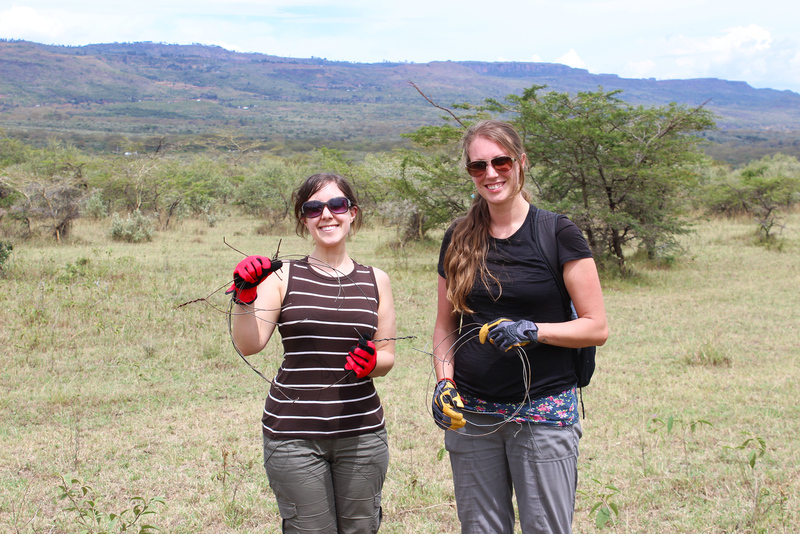 During my 10 days at Soysambu Conservancy, I worked on a variety of valuable projects. 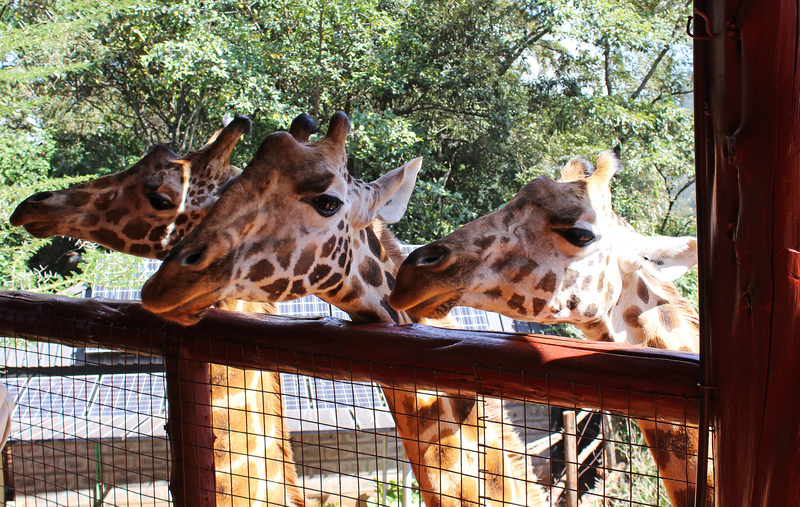 These included giraffe monitoring, bird monitoring, and de-snaring efforts. 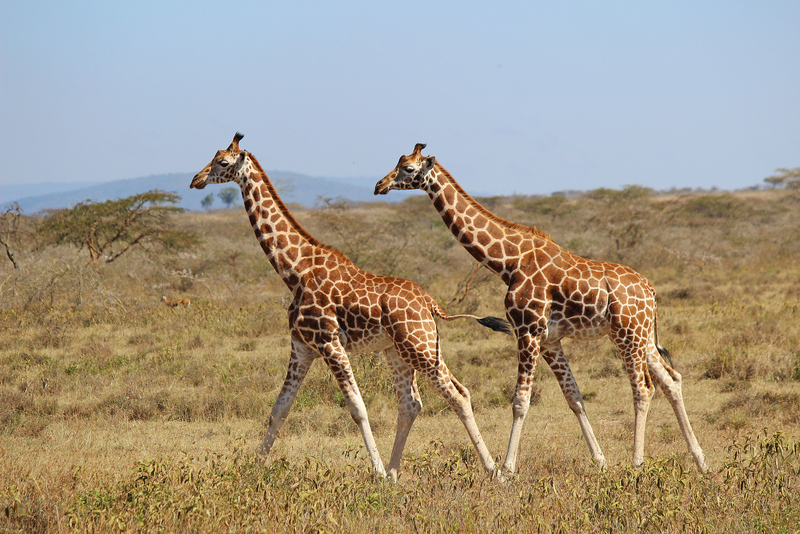 Approximately 90 Rothschild Giraffes live at Soysambu, equivalent to 10% of the population that currently lives in the wild. It’s important that we thoroughly track this endangered species. On giraffe monitoring days, we would take the Landrover out to sections of land where the giraffes frequently walked around. Our guide would mark the GPS coordinates of the site. We would essentially drive around and take pictures of giraffes. To monitor the giraffes properly, we needed to capture an image of both the right and left sides of their bodies. Their markings are not symmetrical; they are different on both sides. In order to properly identify the giraffe, we needed to examine both sides of the giraffe’s body. I happily assumed the role of giraffe photographer during our monitoring sessions. Perched out the roof of the Landrover, I snapped pictures of one side of a giraffe, and patiently waited for it to turn around. Sometimes the giraffes only walked in one direction, never turning around. It was also hard to keep track of which photos belonged to which giraffe. I could really only take pictures of a couple giraffes at a time. When it was appropriate, we were able to drive around to the other side of the giraffe with some success. When I captured images of both sides of the giraffe, I would rattle off the image numbers to our guide. He kept track of the picture numbers so we could grab them off the camera when we returned to the office. At the office, we scoured through a huge binder of giraffe pictures to determine which ones we monitored in the field. We compared my photos to the ones in the binders. We examined their markings and figured out which giraffe it was. All of the giraffes were not only numbered, but named. We tracked giraffes with adorable names like “Sandwich”. Over a few giraffe monitoring sessions, I took photos of nearly 40 giraffes. While some of these were inevitably repeats, we successfully tracked dozens of giraffes. I was able to provide the conservancy with many high-quality photos of their giraffes. Furthermore, we discovered several new baby giraffes that were not even in their catalog yet. 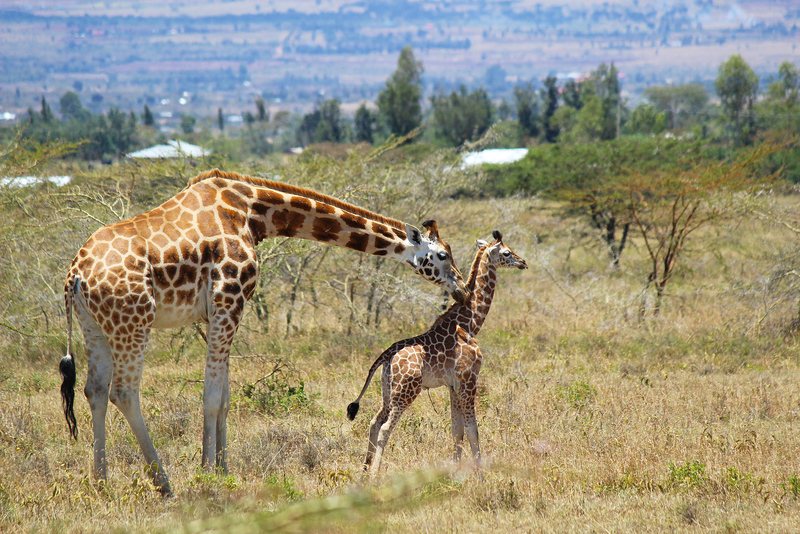 This cute little fellow is a two-week old giraffe that we discovered in the field. He is so young that his umbilical cord is still attached. For the giraffes that we discovered, we were allowed to name them. So, I’m pleased to introduce to you: Justin the Giraffe! Yes, I was able to name a giraffe after Justin. I really hope that I can receive a few photos of him as he grows up. It’s also a possibility that he might end up being a girl (it’s very difficult, if not impossible to tell at this stage in life from afar). If that’s the case, I apologize to baby Justin for giving her such a masculine name. 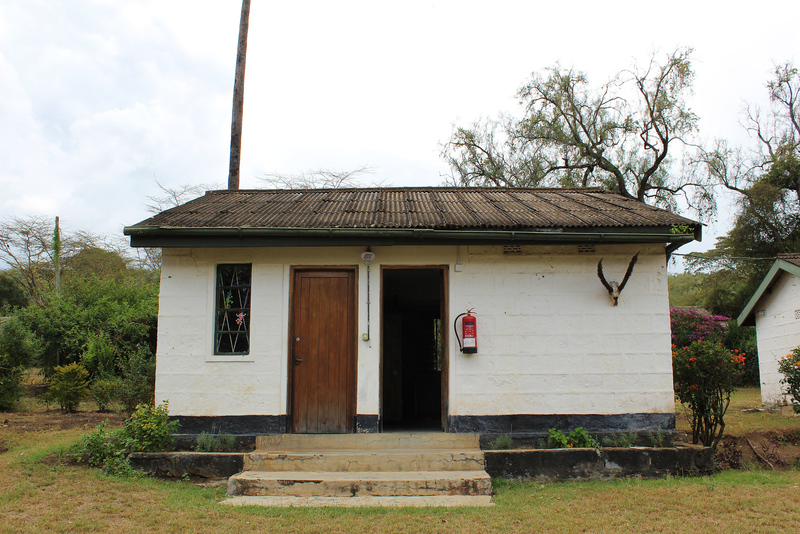 As a key bird region in Kenya, bird monitoring is an important exercise at Soysambu Conservancy. 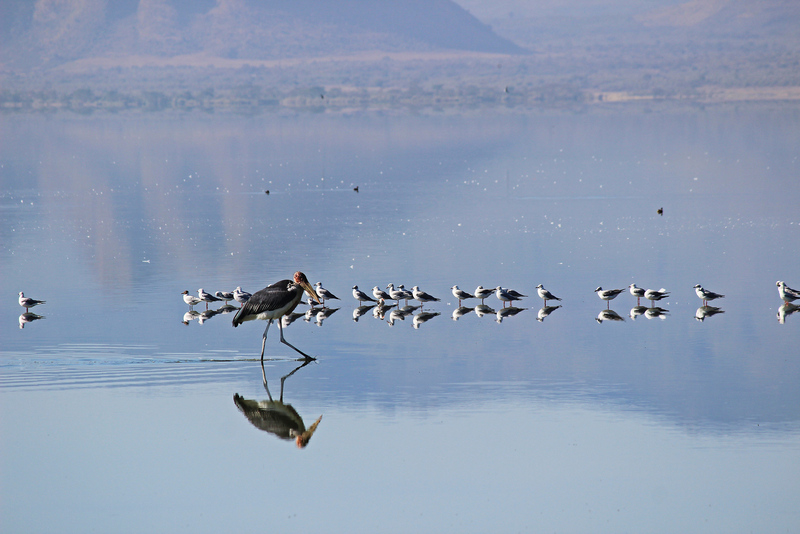 We drove to specific locations on Lake Elmenteita and counted the birds. We took note of the various species at these locations and approximately how many of them were there. Lake Elmenteita is a vivid shade of bright blue, due to its high mineral content. Many birds feed on the lake’s blue-green algae, in addition to fish and insects. We saw many flamingos, pelicans, spoon bills, terns, storks, and Egyptian Geese. Even though it’s illegal, poaching is still running rampant in Kenya. Poachers make snares out of pieces of wire fencing. They scatter them all over the conservancy lands, waiting for an animal to become snared. One of our duties was to search for snares, collect them, and discard them. Our team spread out and looked all around for looped pieces of wire. Not surprisingly, we found a lot of wire. Some of the wire was still attached to a fence post and stashed in the bush. The poacher would later return and assemble the snare. Some of the snares were hanging from trees, and many were in plain sight on the ground. For every snare we collected, this was potentially one or more lives that were saved. Though the poachers are not aiming to capture giraffes, we learned about a giraffe that was caught in a snare a couple of weeks prior to our visit. Thankfully, the distressed giraffe was noticed laying on the ground. Workers at Soysambu were able to free the giraffe. Thank goodness, the giraffe was mostly left unharmed. Had no one noticed, another life would have been taken by poaching. We set out to repair the animal hides. They are small huts, camouflaged with dried grasses, where people can observe the animals without being noticed. Unfortunately, it became unsafe for us to work on the hides due to the presence of buffalo in the area. However, our payments towards the volunteer program with AEI included donations to Soysambu. This allowed them to purchase all of the materials needed to fix the animal hides, which can be done by workers at a later date. The volunteer program wasn’t all work and no play. After all, many of us were in Africa for the first time. 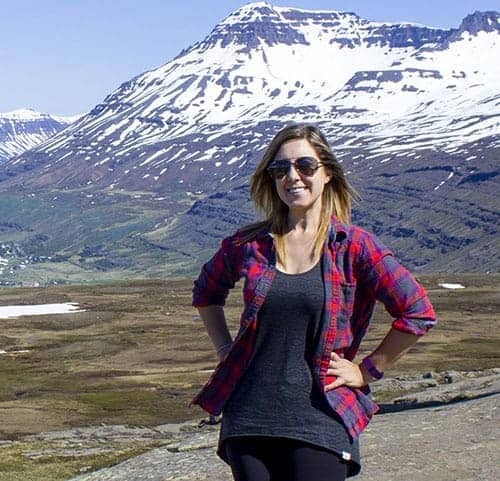 Nora arranged a comprehensive program that consisted of a balance between volunteering and exploring the area. Every day was a safari! Our driver would take us on a different route to the main office each morning. He stopped and pointed out the various animals around the wildlife conservancy, especially if it was a new one for us. Anytime he noticed that we were taking photos, he stopped the vehicle so we could admire the animals. He told us all about the animals and answered any questions that we had. We saw so many animals living at Soysambu, including zebra, warthogs, waterbuck, gazelles, impalas, eland, hyenas, baboons, buffalo, jackals, monkeys, and so many more. We spent a day and night at Soysambu Conservancy’s Raptor Centre. We stayed at Simon Thomsett’s home, the birds of prey expert of National Geographic fame. Simon’s living space at the Raptor Centre included several mud huts: a living room, kitchen, and multiple living arrangements for people and birds alike. 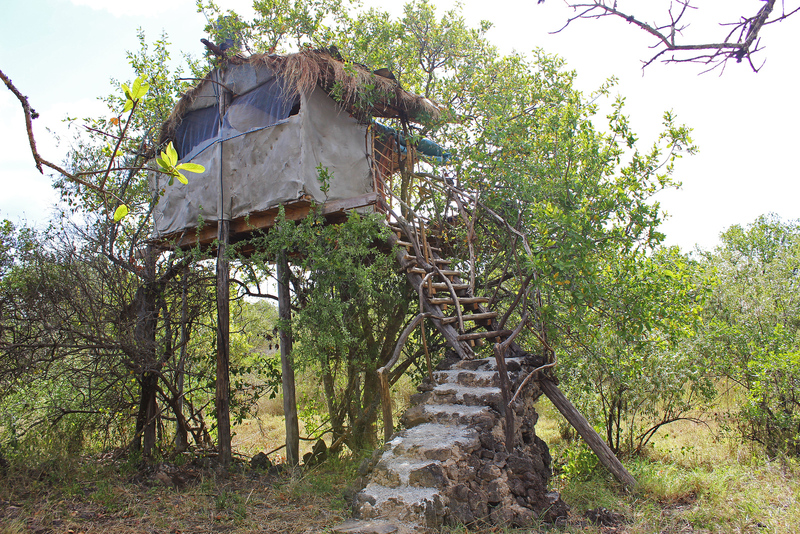 I stayed overnight in a treehouse – yes, a treehouse! It was an incredibly unique experience sleeping up in the trees, waking up to the birds fluttering about in my bedroom. In addition to staying in a treehouse, Simon gave us a full birding demonstration by flying his Tawny Eagle, Boo Boo. This rehabilitated bird lives with Simon because she has a strong human imprint and cannot be released back into the wild. We were also treated to a night safari where we discovered many animal species not visible by day. More on this later. My treehouse for the night! 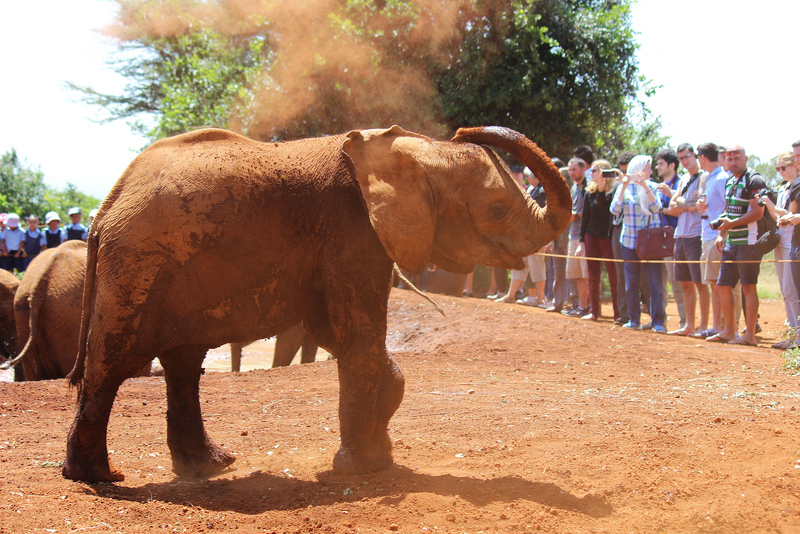 We visited the Elephant Orphanage animal sanctuary in Nairobi, part of the David Sheldrick Wildlife Trust. These baby elephants have lost their mothers due to poaching for ivory. For an hour each day, guests are welcome to watch the elephants receive their midday feeding and mud bath. It was a riot to see the little (well, not that little) elephants tromp around. They drank water, played, and rolled in the mud. By the end of the hour, the elephants were covered with mud, as were some of the visitors who got a little too close! I had a very comfortable stay during my 10 days at Soysambu Conservancy. Our group slept inside cottages at the residence of an American family living there. My quaint house, shared with Marilyn, had a cozy bed and a clean bathroom. We had access to hot showers at a neighboring cottage where Nora and Rena stayed. Each day, delicious home-cooked meals were prepared for us. It was absolutely no problem finding vegan meals here. Every meal was lovingly created with my diet in mind, with options for both the vegetarians and the meat-eaters. In the mornings, we woke up to a breakfast consisting of oatmeal, fresh fruit, and sandwiches. Of course, there was plenty of coffee to go around. We brought a packed lunch with us for a picnic every day. For dinner, a huge spread of cooked meals was available with a new featured dish every night. 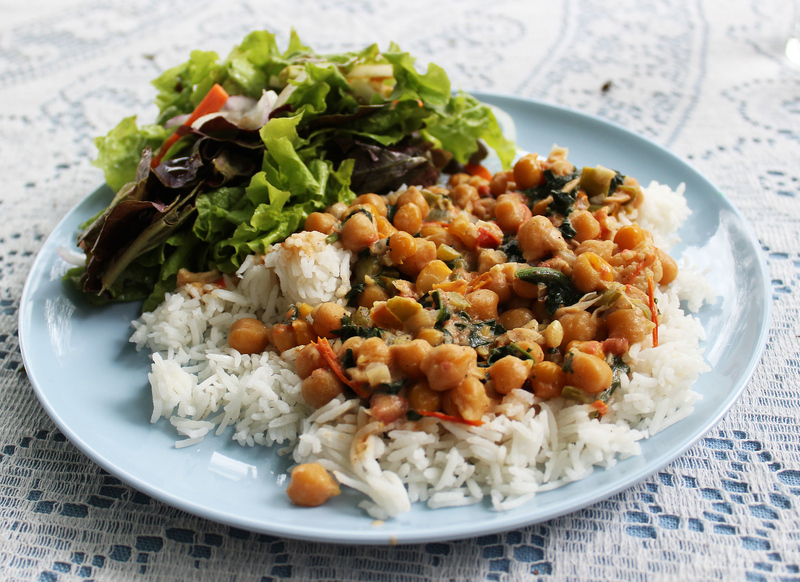 We enjoyed burritos, ugali with sauteed spinach, fresh vegetables, potatoes, chickpea curries, and so much more. It was so wonderful to work all day and not have to worry about buying groceries or making our meals. 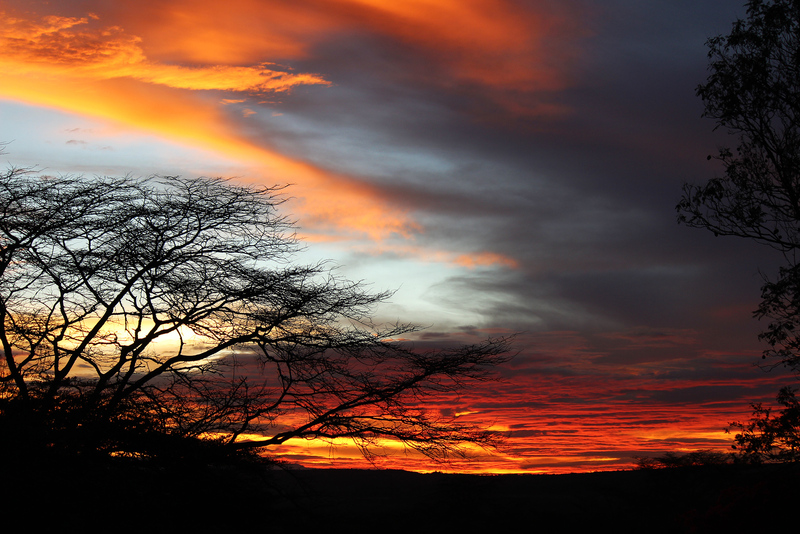 In the evening, we lounged around the property, watching the epic African sunsets. Animals wandered into the backyard looking to drink from the water trough. 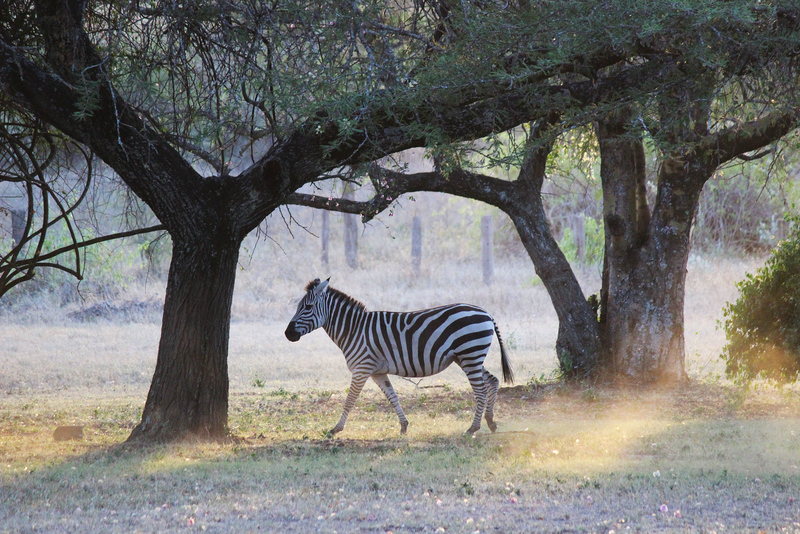 It was a regular occurance to see zebras, waterbuck, and gazelles scattered throughout the yard. There was free time in the evenings to relax, catch up on some reading, or chat into the night. Absolutely! 100% yes. Not only was it extremely rewarding to help wildlife conservation projects, it was an incredible way to see the wild animals of Kenya. Every day was a journey and an adventure. I have numerous stories to tell and memories that I’ll cherish for the rest of my life. This expedition, fully arranged by Animal Experience International, made it very easy to travel to a new part of the world that I’m not familiar with visiting. All of the guess work and planning was eliminated as the project was tested out by AEI in advance. 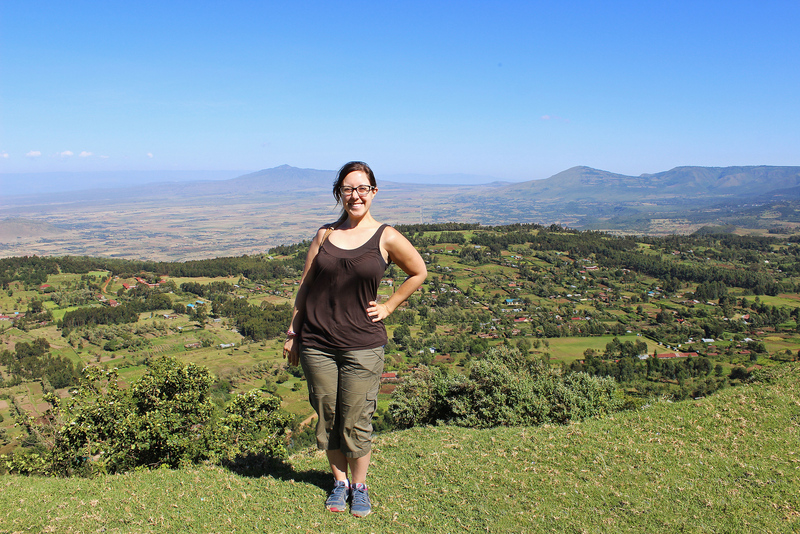 Without Nora’s personal connections, I wouldn’t have known about the volunteer opportunities at Soysambu Conservancy. I wouldn’t have known where to stay (other options on the property started at a pricey $800/night), and I surely wouldn’t have had such delicious vegan homemade meals cooked for me. We were transported from place to place. There were unique experiences and surprises, like staying overnight in a treehouse and going on a night safari in search of lions. We even stayed overnight at a home-stay in Nairobi after our flight arrived late on the first night in town. Everything was completely sorted out ahead of time. So, what are you waiting for? If traveling to Africa isn’t already on your bucket list, this is an amazing way to visit. 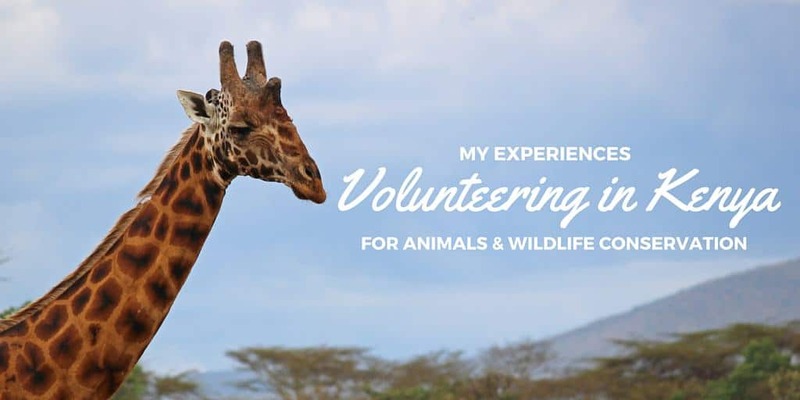 Volunteer in Kenya for animals! 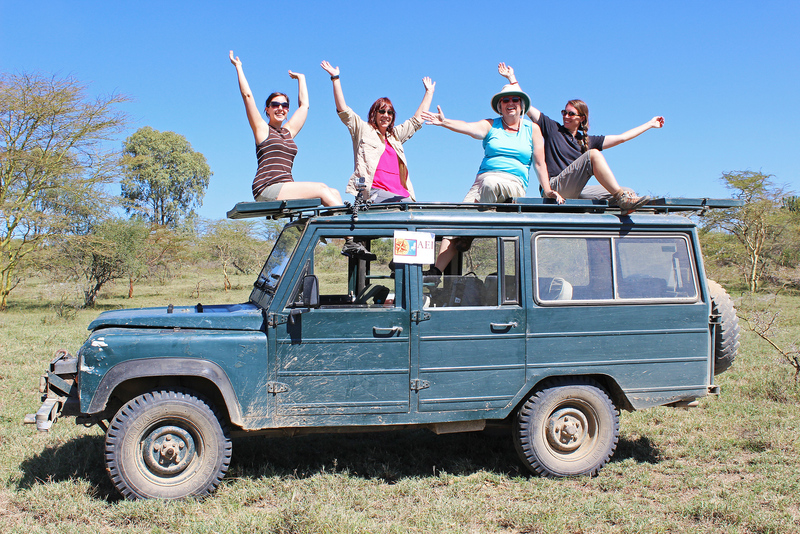 Our team of fearless female travelers. 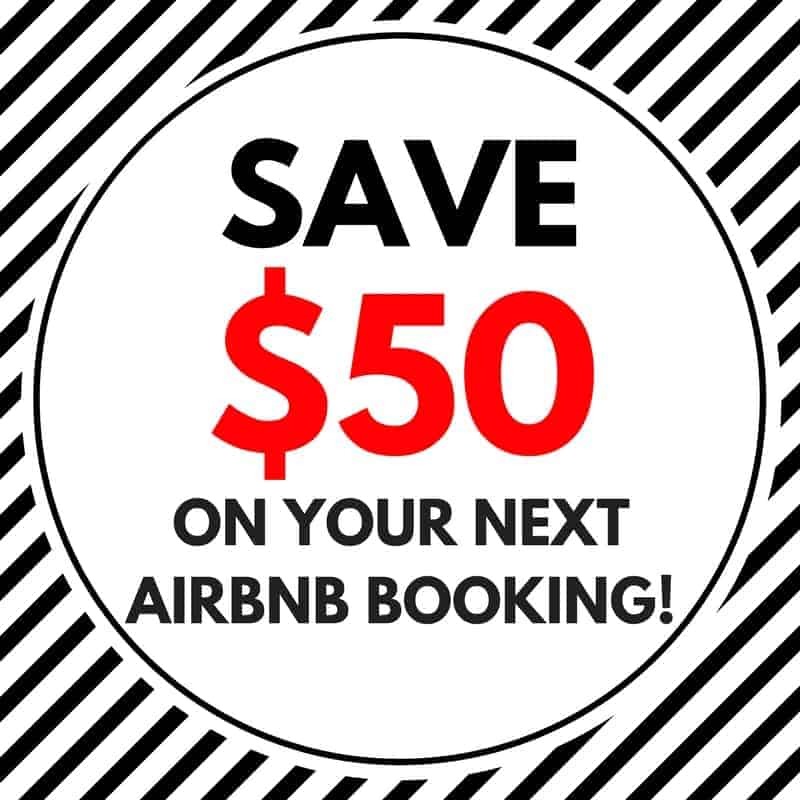 PIN this image to your Pinterest board for future reference! Wow, that’s an incredible shot of flamingos! Hi, Lauren! I really enjoyed reading about your experiences in this volunteering program. Thanks for your post! And wasn’t Africa a wonderful place?!! I’ve always wanted to volunteer sometimes in my life, especially for wildlife, and would absolutely love to do it in Africa someday. A year ago we also visited Africa for the first time and fell absolutely in love with it. So much, that we actually ended up visiting Africa four times during this last year! I will also definitely check out the AEI, as they seem to be a good volunteering company. We’re really hoping to do wildlife volunteering sometime in the future! What an amazing opportunity for you, since you have such a love for animals. I really enjoyed reading about your experiences, and the photos are awesome. We are going to Africa for the first time, this year. I don’t think we will get to Kenya but we are hoping to make Africa a regular destination for the next few years so you never know. We recently watched a show on SBS about the problem of elephant poaching in Africa. So sad to see that so many animals are dying just because people want their tusks or animal skins. Wonderful and what a full adventure. It’s so important to travel for good and find vetted operations like this. I really think this is the future of tourism. What an awesome experience!! So sad how many animals are endangered and still being poached, but it’s great that you were able to volunteer with the conservation efforts. I would love to do something like this, and it’s even better that you were able to add in some fun adventures in the mix as well! Love that one of the giraffes is named Sandwich and that you named the baby you found after Justin–how cute! Looks like you had an amazing trip! This sounds like such an awesome experience! I want to name a giraffe! lol I did a week volunteering on a game reserve in South Africa, we weren’t tracking the Giraffe at all though. It sounds intense what you had to do trying to identify them! We mostly tracked wild dogs and rhinos and some had tracking colours and we just had to count them. I would definitely look into working with this company on my next trip! I guess you’ll get to learn a lot about Africa and Safaris if you volunteer in a place like this. Volunteering when you are young is a great thing to do. You have a lot of energy and enthusiasm and that carries you through. I did it too, but lately I find it more and more difficult to leave my house and my obligations and go to the end of the world for a project. But I admire those who keep doing it. That’s a fantastic article, Lauren! Africa has been at the top of my bucket list for quite awhile. And it just so happens that I am a lover of animals and want to contribute to wildlife conservation as well – so I think what you’ve done here would be the perfect experience for me. I’ll look into it :) Thanks! This looks absolutely incredible! What a perfect way to have such a personal experience with the wildlife and make a difference at the same time. All of your assignments look so interesting and truly make an impact on the future welfare of the animals, especially disposing of the snares. That had to feel so great every time you found one and got it out of use. I’d love to go to Africa someday and I’d definitely consider a trip with Animal Experience International. Thanks for all the great information! I’m an ecologist and conservationist here in the UK and I’ve been interested in taking part in one of AEI’s trips abroad, whether it’s Africa, Cuba, or wherever! I’m glad you had such a positive experience, and got to contribute in a meaningful way. So many ‘voluntourism’ organisations are out to get your money and in exchange you feed baby animals – still helpful but research is by far the best way forward! Zowie! What STUNNING photos! I love the one of the big giraffe kissing the back of the little one! My husband and I had big plans to go on safari in Kenya for our Honeymoon, but the plans fell through and we ended up elsewhere. It’s still on our list, though, and this post makes the idea even more alluring! Baby Justin is so cute!! I’ve been following your adventure on Facebook, and I gotta say, I’m so happy for you girl! It’s so obvious that this trip meant so much to you. I’m glad you were able to go and make such an impact on these animals. 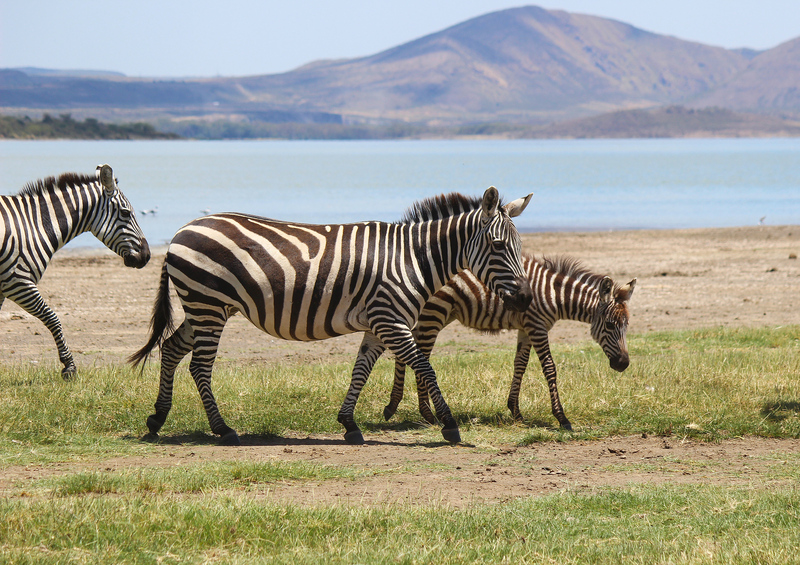 Great things to do on your travels to Kenya! It surely was a big relief that all the advanced planning was taken care of before you embarked on the project. It also wonderful that you had no worries in Kenya as vegans. What a wonderful experience you had in Kenya!! Lauren, thank you so much for this review of your experience at Soyasambu. I’ve never been to Africa, either and am planning to go there on my own next summer. I am looking at this project, but saw it offered by a different company. Nice to have another opinion and thanks, especially for the photo of your accommodations and for the lovely way you described your driver and other people working on the Conservancy. Very thoughtful and helpful. If I go there, I’ll look for Baby Justine and post a photo on your blog! Thanks for sharing this amazing piece . 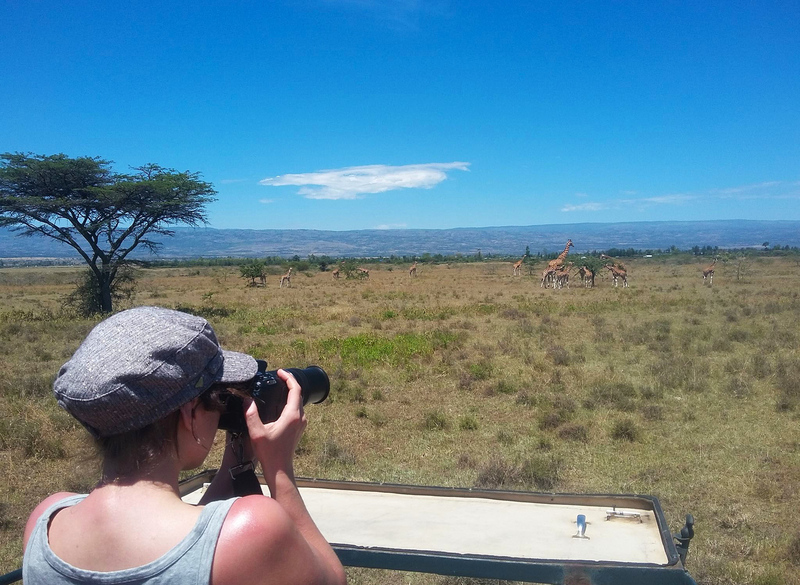 That photo with the backdrop of the Rift Valley is classic..i grew up in Nakuru town, in the heart of the valley..plus that photo of the Waterbuck reminds me of my Lake Nakuru visits as a child where those animals are in plenty.